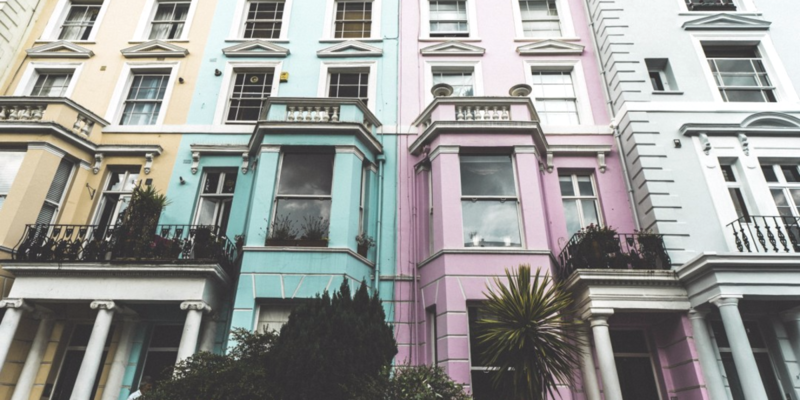 It is widely forecast that in the short term negative sentiment amongst buyers (particularly discretionary buyers, such as buy to let investors) will lead to a fall in residential property transactions. This has led firms like the estate agency Foxtons to predict “a prolonged period of further uncertainty” after seeing its share price fall off the back of a 42% decline in first half profits, linked to Brexit uncertainty (source: Independent). However, a number of commentators believe that lower sales volumes since April 2016 are less about Brexit and more about the market and recent tax changes. Tom Bill (Head of London Residential Research at Knight Frank) said, “This slowdown was a natural consequence of strong price rises between 2009 and 2013, however the process was accelerated by two stamp duty increases and a series of other tax measures”. Despite pre-Brexit predictions of falling house prices if the UK voted to leave the EU, the early data suggest otherwise. The Nationwide house price index showed a price rise of 5.6% in August 2016 compared to the previous year and a rise of 0.6% compared to July 2016. Nationwide’s chief economist Robert Gardner said “the decline in demand appears to have been matched by weakness on the supply side”. The housebuilder Persimmon reported that the number of properties reserved by customers over the seven weeks immediately after the vote rose by 17% compared with the same time last year, while the number of prospective buyers visiting sites was up 20% (source: Telegraph). Overall, market forecasts are generally predicting a weakening of property price growth in most areas over the short to medium term, rather than price falls. This is supported by Savills who said “Though we cannot rule out price falls in some weaker markets or in the event of a more substantial economic shock, we believe prices will fundamentally be underpinned by a continued low interest rate environment and low supply”. Following the Brexit vote and in response to weaker growth forecasts for the UK economy the Bank of England cut the base rate to 0.25% from an already historical low rate of 0.5% and there were indications that the rate could be cut further to 0.1% by the end of the year. This has led to further cuts in mortgage rates that were already at an all-time low. Against a backdrop of political and economic uncertainty mortgage lenders may look to tighten their lending criteria, which would impact the availability and cost of mortgages for first time buyers and buyers seeking higher risk products (high loan to values) in particular. Mortgage rates could also rise, absent any change in the base rate, when the Government backed ‘Funding for Lending’ scheme, which has provided cheap money to lenders since 2012, comes to an end in 2018 (source: Telegraph). Over the longer term interest rates are expected to rise, although Bank of England Governer Mark Carney has previously indicated that this will be “gradual” and when rates do rise the “new normal” rate is likely to be around 2.5% (source: BBC). We are observing the emergence of an alternative finance industry in the property sector. In 2015 alternative finance grew to a £3.2 billion industry and c£700m was invested directly into alternative property investments (source: Nesta). Brexit and the interest rate cut that quickly followed is expected to drive further demand from investors seeking higher returns. The spectacular rate of growth observed in the alternative financing industry in the last few years is altering the financing landscape for property developers. The increased availability of both debt and equity finance from the new wave of crowdfunding platforms should lead to more homes being built. This will make a positive contribution to the housing crisis, but our view is that crowdfunding is not big enough yet for this to have a material impact on the availability or pricing of property in the UK. A post Brexit report commissioned by Shelter and conducted by Capital Economics predicts that the Government could miss its target to build 1 million new homes by 2020 by 266,000 homes due in part to economic uncertainty following the referendum vote, if no further action is taken. The report’s findings are supported by an announcement from Barratt Developments, one of Britain’s biggest housebuilders, that it is looking at “the extent to which we should slow down our build programmes” (David Thomas, Barratt’s CEO), (source: Guardian). However, there are rumours that the Government’s is set to announce a £3bn house building fund in the autumn budget statement, to provide SME developers with cheap loans and funding, which could lead to a medium term increase in the number of properties that are built (Source: Reuters). A number of commentators predicted that despite the pound weakening, higher stamp duty and slower property price growth forecasts would lead to less foreign investment in UK property, but initial reports suggest this isn’t the case. Instead, it is reported that foreign buyers have been investing in primarily London property to benefit from favourable exchange rates (source: Independent). There is also evidence that savvy foreign buyers are moving away from the fragile prime central London market and instead are focused on investing in multiple properties in more affordable areas of London to minimise their stamp duty costs (source: BBC). More than three months on from the UK’s decision to leave the EU we know that “Brexit means Brexit” but have no more clarity on what that actually means and given so much of Britain’s exit from the EU is subject to negotiation inside and outside the UK it is likely that we won’t have much more clarity for quite some time. Although it is reasonable to expect fluctuations in the property market as negotiations with the EU progress and details of future immigration policies and trade agreements become clear. Over the longer term we would expect the property market to be impacted by the affordability of property which will be determined by macro trends within the UK economy, (such as growth, earnings, employment, inflation and interest rates) and specific government housing policies (eg help to buy, funding for lending, housebuilding fund etc). It has been well documented that UK residential property has been less volatile (UK house prices outperformed the FTSE index during the global financial crisis) and has outperformed other asset classes over most time frames in recent history (see our blog on Residential Property). It perhaps shouldn’t be a surprise to observe the relatively resilient short term reaction from the UK property market to Brexit. Essentially the fundamental drivers behind recent property price rises have remained unchanged; low borrowing costs, high demand propped up by foreign investment; and supply shortages. In fact the limited changes that have materialised in recent months may be more attributable to the market cooling after years of price rises and recent tax changes than Brexit. This article was written by Anthony Rushworth (Homegrown Homegrown CEO). Our view is that the residential property market still has the potential to deliver attractive returns for investors by focusing on value created from building rather than simply holding property and targeting high demand areas that can expect to benefit from substantial inward investment and regeneration. To view the latest available investment opportunities with Homegrown, click here.